“Beekeepers Wallace Anderson and R.R. 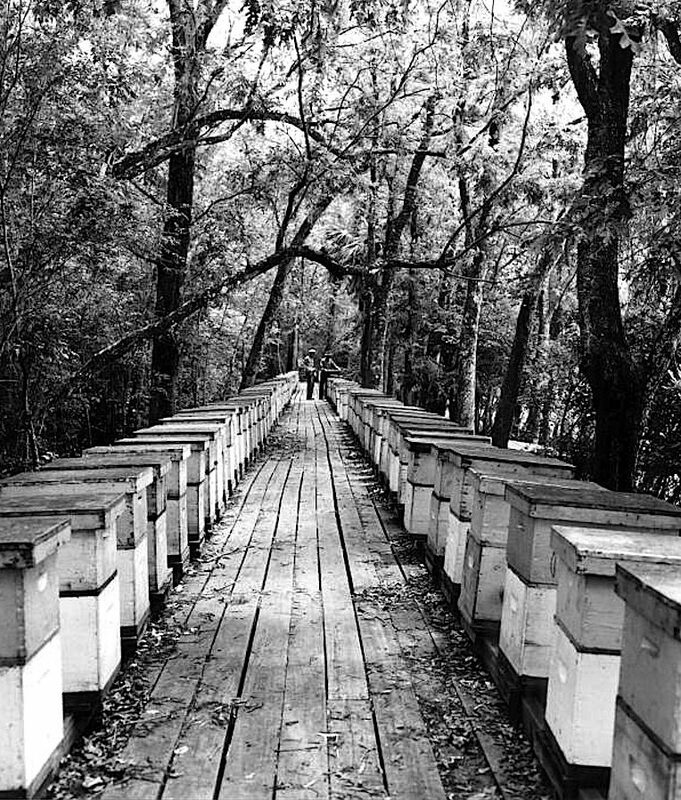 Talbert tending to tupelo honey beehives in Apalachicola, Florida,” May 6, 1948, via Florida Memory (State Library and Archives of Florida) Commons on flickr. An amazing scene! You can rarely find tupelo honey up north, though I do remember having it in Rochester. I made a big effort to find it in honor of Van Morrison’s song of that name.